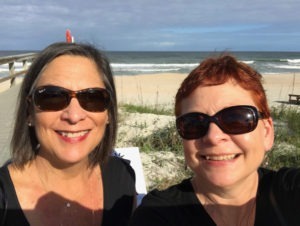 We had the good fortune to gather recently with business people like ourselves at the National Association of Senior Move Managers’ 2018 Conference in warm, sunny Ponte Vedra Beach, Florida. This was a time of learning and networking with other move managers from all over the country and as far away as Canada, England, and Ireland! 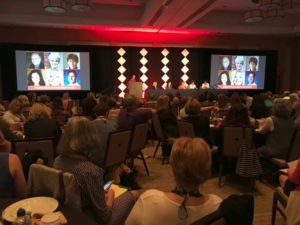 The conference theme this year was Big Ideas–Bright Future with a variety of topics covered, from interesting ones—such as Identifying the Value of Art & Antiques, Senior Advocacy Issues, and Tips & Tricks for Improving Service Delivery—to the more mundane like dealing with Insurance and Policy & Procedures. An event that was new this year was Speed Networking, i.e. : organized chaos; we met and briefly exchanged ideas with eight different attendees in only 1 hour! By the end of our time at the conference, our heads were spinning with new information and many, many ideas for enhancing the services we provide our clients. National Association of Senior Move Managers (NASMM) was formed in 2002 by a group of 15-20 professionals who were working in the field, but recognized the need for uniform industry standards and processes, and the need for a prescribed code of ethics. While the Senior Move Management profession is relatively young, the number of companies who are members of NASMM has grown to over 500 today! Obtaining general business liability insurance. Taking (and passing) NASMM’s Cornerstone Courses. Providing NASMM with two letters of recommendation from senior clients they have moved or senior living communities with which they work. Providing a link to a live website highlighting their Senior Move Management Services. Signing and abiding by the NASMM Code of Ethics and submitting to oversight and guidance from the NASMM Ethics Compliance Commission. This was the fourth NASMM Conference we, at Transition Tamers, have had the privilege of attending and each one builds upon the other with new information and opportunities! In addition to the new ideas we gather each year, we continue to make solid contactsworldwide that are of potential benefit to the clients we serve. We are back at home now and the hard work of putting all we learned to practice begins. We believe the future for growth in Senior Move Management is truly Bright and are looking forward to comparing progress notes with our fellow move managers next year in San Diego!